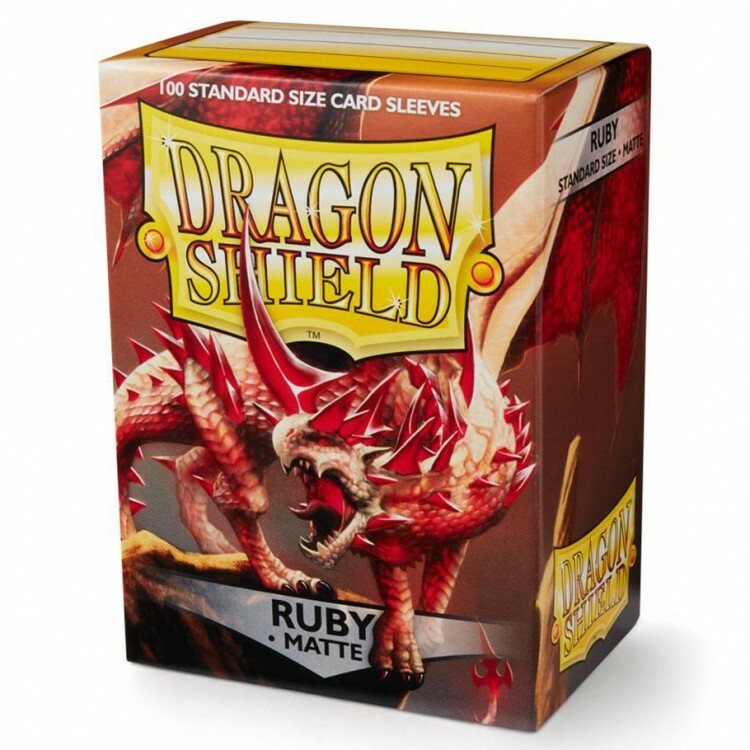 Matte sleeves are the popular line of textured Dragon Shield with superior handling. A perfect mix of durability and shuffle-ability. 100 sleeves per box. For cards measuring up to 63×88 mm (2½”x3½”). PVC-free polypropylene sleeves, no acid. Archival safe. 120 μ quality thickness. 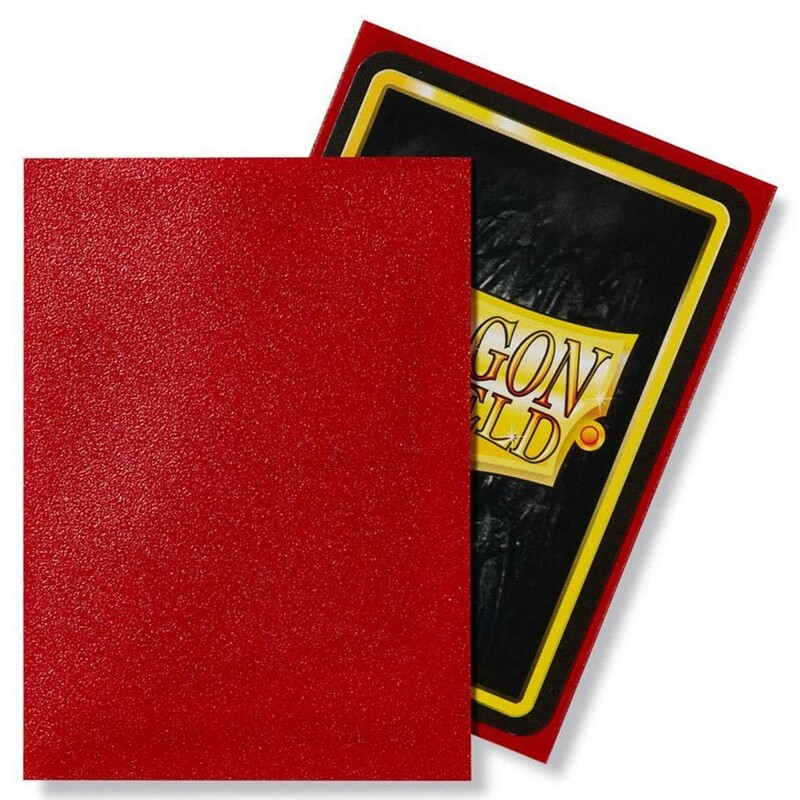 Sturdy cardboard box fits 75+ cards including sleeves. Box lid has a label for your personal use.